A wide selection of headstones and plaques are available, not only for erection in the cemetery, but also for pets buried at home. Commemoration trees, shrubs and benches can be purchased and dedicated to the everlasting memory of your pet. Our gardens and cemetery are open all daylight hours and visitors are not only welcomed, but actively encouraged. We have a huge selection of caskets, urns and containers that can be purchase here however this barely scratches the surface of what is available. The container we use which is in the cost of our cremation is a simple hardwood casket with a brass plate on to inscribe their names and dates. This helps us to secure, identify and individualise each pet while they are in our care. We are happy to transfer the remains to any casket or container. You may have your own or choose an alternative here. If families wish they may have their pets ashes returned to them in a woven sea grass scatter pouch at no extra cost. The term ‘Columbarium’ comes from the Latin Columba (Dove) and originally referred to compartmentalised housing for doves and pigeons also called a dovecote. Our Columbarium niches are designed to house up to three ashes caskets. 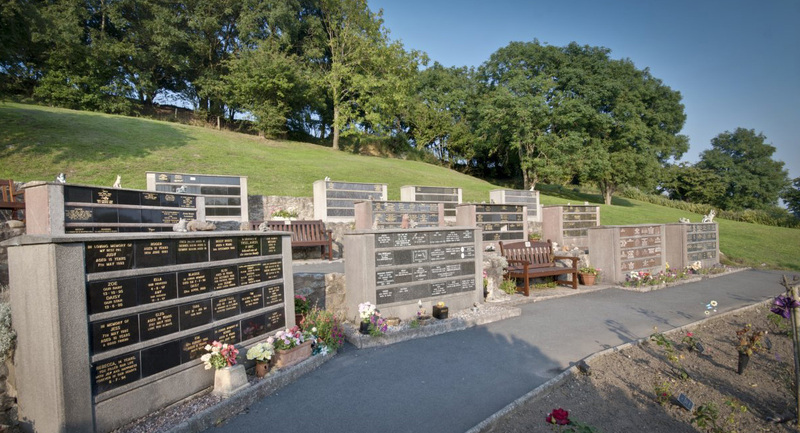 Interestingly our columbaria have become very popular with people who wish their ashes to be laid to rest with their pets when their time comes. They are issued with a 25 year deed of assignment. Costs vary depending on the number of lettering used on the plaques. We have always been happy to scatter the ashes of pets and owners on our rose garden. For those who wish for a more permanent memorial, a rose bush or tree can be planted with a commemorative plaque. There is also a cremated remains section where ashes can be buried in a formal grave setting and a headstone memorial can be placed. This option has been especially popular with people wishing their own ashes to be laid to rest with their companion.